They currently have over 2 million websites all over the world and claim that there’s thousands of new websites added every single day. I figured there must be a reason for this, so I decided to write an unbiased and honest review based on actual experience. With a team of almost one thousand members, BlueHost has a reach for fast customer service times. It’s my job to test their features by purchasing a hosting plan and putting BlueHost to the test! One of the things that separates BlueHost from other competitors and a lot of other major service providers is that they offer a wide variety of packages. I’ve personally tested all of the functionality on BlueHost and want to let you in on their secrets! There are three different options for shared web hosting on BlueHost. First, you have your basic package which comes with a few restrictions. Basic Package (£2.25/Month): With BlueHost’s basic package you get 1 website, 50 GB website space, 5 parked domains, 25 subdomains, 5 email accounts, and 100 MB storage per email account. If you’re happy to dish out on an extra £2 per month, you’ll be able to enjoy many more features as well as unlimited space and bandwidth. A superb choice for medium to large websites, or even online stores. Plus Package (£4.25/Month): With BlueHost’s plus package you get unlimited websites, space, bandwidth, parked domains, email accounts, and email storage – ideal if you’re looking for a mid-range plan with no limits. You’ll also receive £150 worth of marketing offers and credits for free – a handy little bonus to get your marketing campaign set up! If you liked what you saw with the Plus Package then you’d be silly not to sign up to the Prime Package. Their promotional price drives a hard bargain that is absolutely not to be missed. Prime Package (£4.25/Month) – PROMOTION PRICE: Currently at an absolute bargain, BlueHost’s prime package comes with the same benefits as their plus package, as well as SpamExperts, Domain Privacy, and Site Backup. Perfect for businesses or for those who want a little bit extra. I’d consider BlueHost’s pricing plans to be extremely affordable, especially given that their premium (prime) package is now only £4 per month! To put it into perspective, that’s probably the cost of your lunch, and it’s definitely worthwhile. Unlike most other web host’s, BlueHost have NO hidden fees when signing up, so what you see is what you get. This (to me) is such a relief. I can’t tell you how frustrating it is to think you’ve got a bargain, only to find out there’s loads of hidden fees on top. When you sign up with any of BlueHost’s plans, you’ll receive a free domain for 1 year, which I think is pretty handy, especially if you’re starting your website from scratch. This is one area where BlueHost truly excels in. When it comes to the ease of use for customers, BlueHost has designed easy to understand interfaces for hosting of all levels. Whether it’s the backend billing system or the WHM access, I was thoroughly impressed with how easy it was to find everything. It might take you a little while to get used to where everything is the first few times you access the back end, but it’s very convenient and easy to use. All of BlueHost’s plans come with 1-Click installs, including the usual and popular WordPress, Magento, etc. making it very easy to manage your hosting, domains, websites, and databases all in one place. For beginners or experts, BlueHost’s control panel will glide you through the process without any confusion. For resellers, you’ll get access to a control panel that allows you to transfer domains, register domains and manage all of your clients in one centralized place. We could manage the DNS for all of our clients, set up accounts for new clients or manage accounts for existing clients. Also, for sites that are hacked, BlueHost offers some level of support but they do cost money. Performance and uptime statistics are incredibly important when choosing a web host; if you’ve gone to the effort of building or having a website created for you, you want the world to see it right? BlueHost promise blazing speeds, but it’s no good me just taking their word for it – I wanted to check it out for myself (that’s why I’m here). As promised, I signed up to BlueHost using their Basic Package, which included a free domain name and free installation of WordPress. I set up our website and registered with Pingdom in order to monitor our website, hosted with BlueHost, to keep track of our pagespeed, uptime, and performance. Obtaining real time data is the only way to ensure that I can provide you with valid test results, so let’s take a look at the results. Using our test website, we received a page speed load time of just 1.8 seconds, and a performance grade of B (83/100). Averaging out at 85% faster than most other web hosts, without any plugins or addons to improve page performance. Considering the data we used, we were really impressed with the figures that Pingdom provided to us; being a UK based web review, we wanted to gain tangible data by testing within Europe. 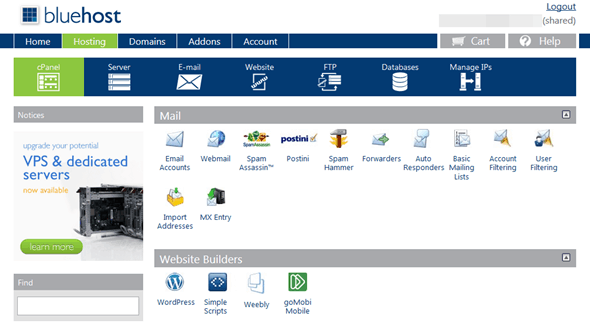 BlueHost’s WordPress web hosting comes with a selection of useful tools and features. These features can help to optimise any WordPress website, including the caching of data and images to help speed up your website. After using some of the essential (basic) optimisation tools for my WordPress site, look at the difference it made! I genuinely didn’t think I’d see such drastic changes in terms of the performance results. My website’s performance grade increased by nearly 10 points, my site’s load time decreased, and there were less requests (even with a slightly larger page size). This really gives me confidence that these extras aren’t just a fad, they really work, and the proof is in the pudding! After a successful daily uptime result, I went back to our Pingdom account to monitor our BlueHost test website over a weekly period. The figures speak for themselves; 100% uptime with no outages whatsoever. I was very happy with this result (obviously) but wanted to monitor my site’s performance over a longer period of time. As I said, the uptime result of 100% was great, but would I continue to see this over the next 30 days? Well, I told you I’d be back, and here I am with the results! 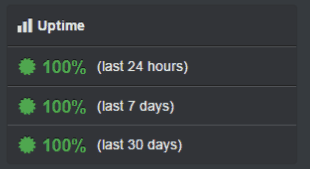 Over the last 24 hours, 7 days, and 30 days, my test website enjoyed 100% uptime. BlueHost guarantee a 99.9% uptime which is pretty standard, but to actually experience 100% uptime was really great. Good job BlueHost, I knew there was a reason I loved you so much! Even with an increased number of visitors, BlueHost’s response time and page speed loading time was stable and consistent throughout, no matter what I threw at it. With an average response time of 590ms, not great but we’ve seen worse! What I like about BlueHost is that they are a consistent host. As I mentioned, my site’s response time wasn’t lightning fast, but it didn’t fluctuate. I wasn’t experiencing 200ms and then 2000ms hours later. To be honest, I’d rather have a steady response time over a long period of time rather than it spiking. BlueHost has no shortage of tools and options available but they depend on the level of service you’re looking for. If you’re getting into reseller hosting, there’s the comfortable and easy to use backend. There’s the standard cPanel access where you can install software with the click of a button. There are too many tools to list here in this review but I can assure you that all of the tools I tried out were highly useful and saved time. And remember, if you’ve read this review and want to give BlueHost a try, they have a 30-day money-back guarantee. I can pretty much guarantee you won’t want your money back, but it’s a reassuring safety net should you need it. Cloud Hosting: Similar to shared hosting in terms of it’s features, cloud hosting provides more reliability for it’s users. If the server your website is on encounters any issues, cloud hosting will automatically move your website onto a different server, to ensure your website performance and traffic isn’t affected. WordPress Hosting: Many people across the world are using WordPress to build their personal website, blog, or eCommerce shop. BlueHost’s specifically designed WordPress hosting packages are very well optimised, and ensures any protection against potential WordPress based threats. WordPress installs are quick and easy, and all manageable through BlueHost. WooCommerce Hosting: WooCommerce, for those of you who haven’t heard of it, is WordPress’s most popular eCommerce plugin. It’s available only to WordPress users, and allows them to create an online store in a matter of minutes, with a range of essential tools and features to get your new business off the ground. BlueHost’s support is available 24/7, whenever you need them. The response time is also relatively low as you’ll get a response in a matter of minutes when you contact them (so I’ve heard). I thought it would be a good idea to test out the various BlueHost customer support options to provide an unbiased review. Whether you’re a new or existing customer, BlueHost’s support team appears to be available to respond to you pretty much immediately. Let’s take a look at the real-time support I received so you can see what I mean. I logged into my BlueHost account and easily navigated to their live chat system. It really frustrates me when it takes longer to find the support options on a website than it does to use them! Luckily, this wasn’t the case with BlueHost’s support. I filled out a few details prior to connecting, but once the information was passed through, I was connected to an agent straight away. I thought I’d have to wait at least a couple of minutes given it was 6pm GMT, but no, I was pleasantly surprised (yet again). The information provided by the advisor was helpful, efficient, and to the point. The chat lasted around 5 minutes in total, where they were friendly throughout the chat and provided a response within seconds of connecting to their service. 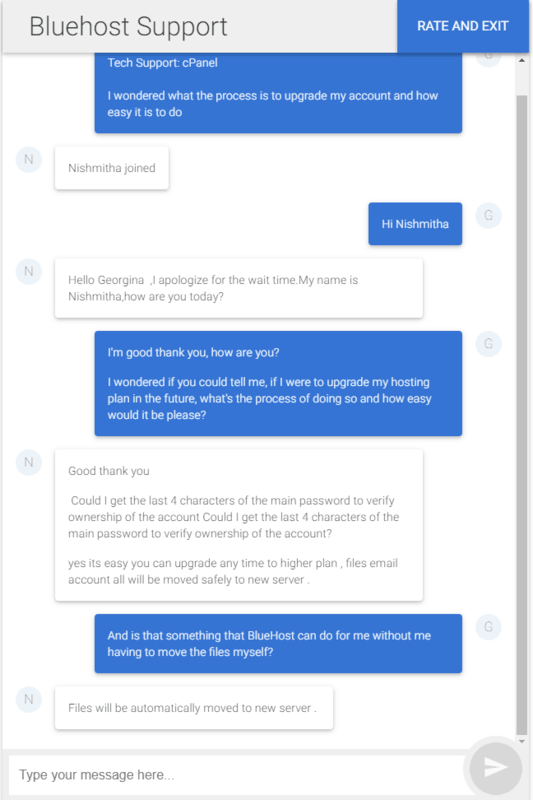 I also tested BlueHost’s telephone support from the U.K. to see how quickly they’d answer, and the type of advice they could give. Phone chat took just under 4 minutues and live chat was 7 seconds; anytime I have contacted BlueHost via telephone has always been a swift and efficient process. We know that some users prefer to use a ticket system if they have a query that can wait, amongst their busy lives, but unfortunately BlueHost eliminated their ticket system recently, meaning that it is no longer an available option (but they do have live chat). 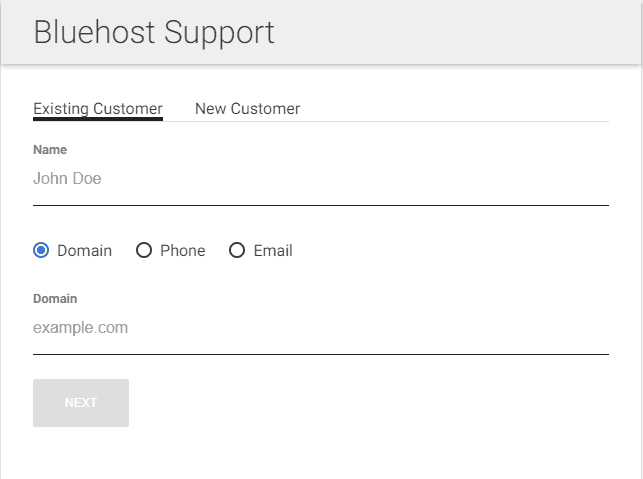 As well as being able to physically contact BlueHost, their support resources and help center offer a wealth of FAQ’s and knowledgebase articles, meaning you’ll likely find the answer to your problem without having to contact the web host directly. Their intuitive search system allows you to type in a keyword, e.g. ‘domain’, and will return results, much similar to a search engine, offering you related answers. Their Help Center also provides key headings, such as, FAQ, WordPress, email, etc. so if you know the area you need help in, you can go straight there without having to search for an answer. It may be a simple feature, but it’s really helpful for those who feel confident enough to fix any issues themselves, or users who don’t have time to contact their support. Little tricks like these can be a make or break situation for some users. 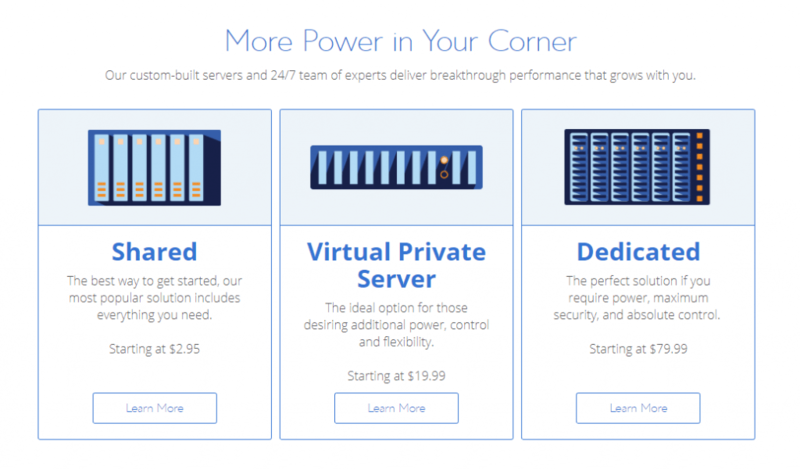 BlueHost once again shows how it puts its customers first. As I’m sure you know by now, I signed up to BlueHost so that I could test out their hosting plans, features, performance, and support to provide you with an honest and open review. I’ve been using Pingdom to monitor my test website’s performance, and have explored each and every corner of BlueHost’s web hosting (I didn’t want to leave any stone unturned). Now it’s time to outline the pros and cons of BlueHost’s web hosting so that you can make an informed decision as to whether this web host is right for you. Although I’m pretty confident you’ll love them just as much as I do! 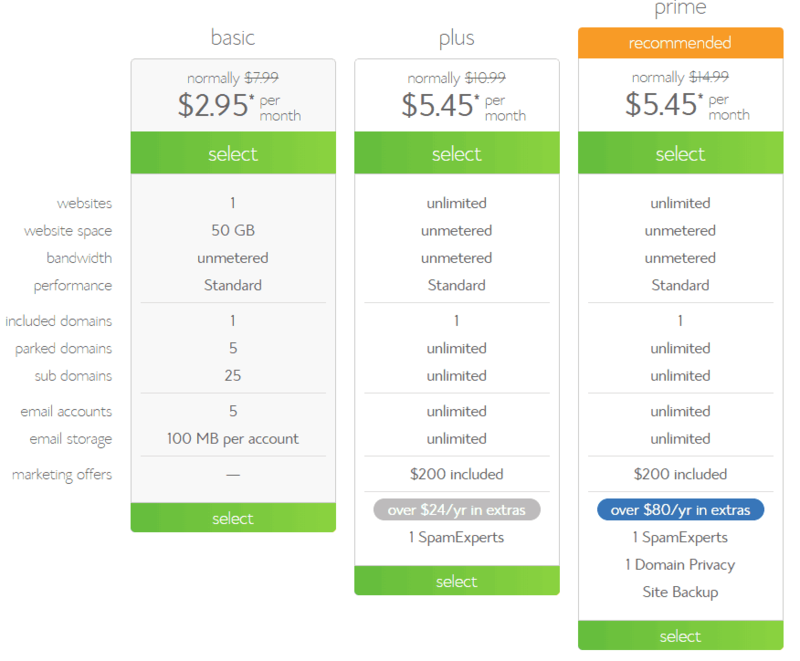 Affordability is most certainly true when it comes to BlueHost’s pricing plans. Whilst their basic package doesn’t offer many features, if you’re looking to host a blog or a small website, then you can’t go too far wrong. Upgrading to the plus or prime package offers many more features, for a fraction more in terms of price. It’s not the cheapest host we’ve come across, compared to others, but for the same price as a cup of coffee, you can’t complain (really, you can’t). Performance is key when deciding on a web host; using our test website, we were able to report a 100% uptime from BlueHost using their basic package. Our website speed (unoptimised) was great, and our website’s response times were above average. For those of you who aren’t aware, if your website fails to load within 3-5 seconds, you’re going to lose visitors and potential future traffic. Thankfully our results suggest that this isn’t a concern with BlueHost. Security is an aspect that BlueHost have really taken into consideration. Spam is a big concern, especially when you’re running a business. Tools like SpamAssassin and Spam Experts are designed to prevent spam and alert you of any issues. When logging into your BlueHost account, you have the option to protect your account by enabling two-factor authentication. As well as this, you can manage IP addresses, SSL certificates, and filters for email and user accounts. Monthly prices are, as we know, very affordable across all of BlueHost’s plans, however, their £2.25 per month offer is only actually this price if you’re willing to pay for a 36 month period. If you only want to sign up for 12 months, or 24 months, the monthly price becomes slightly more expensive. If you do take BlueHost up on their 12 month plan, your renewal price will be almost double the introductory offer, so it may pay to sign up for 3 years if you’re going to go for it. Unlimited features aren’t truly unlimited. As per BlueHost’s user agreement, their acceptable usage policy does have limits. If you exceed 3 GB MySQL database storage, or have over 1000 database tables, your account may (or may not) be suspended with (or without) notice. Site migrations are only free with BlueHost if you have the files to hand. If you don’t, you’ll be charged $149.99! Other web hosts often provide this service for free, but it is unfortunately not the case for BlueHost unless you have a copy of your files. BlueHost offers a lot of tools, features and things to help improve your hosting experience for the money. They are truly one of the most affordable web hosts around, with excellent uptime results and response times. The results spoke for themselves, and offered a different view on what you can achieve once you optimise your website with a few simple clicks. When we get right down to it, if you’re looking for a decent budget web host, or are just starting out, then you can’t go too far wrong with BlueHost. I feel like they’d suit most customers because of their versatility. In my opinion, I still think SiteGround is far better in terms of performance, customer service and features – you can read my SiteGround review here. However, if you’re looking for something different, then I’d definitely recommend BlueHost. They’re constantly improving their services and their speeds aren’t something to be rivaled with.